Well, u can make sundal in many varieties. Will post one by one.This is our family's favourite. U can eat this sundal often during navrathri days. 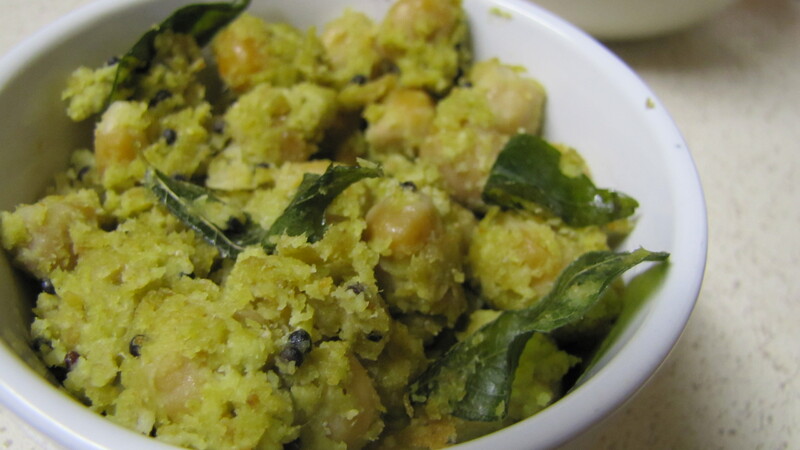 My mom make this sundal frequently, For us it's a good evening snack and not a festive special. First grind the items as mentioned above and keep it seperately. Take a pan and do the tempering with the ingredients given. First, splutter the mustard seeds, then add the urad dal and fry till becomes golden brown followed by hing and curry leaves. Add the boiled chick peas now and saute. Immediately add the ground paste and keep stirring otherwise it will stick to the bottom. Stir the mixture till the ground mixture cooked thro. At this point, u can see the masala's coated in every chick pea. switch off .Garnish it with corainder leaves and serve... Yummy !!!!!! !